A Lightweight Title fight will headline this outstanding night of Mixed Martial Arts fighting action. The Lightweight division is one of the hottest contested divisions in Australia and the world. Two of the finest competitors in Australia will be competing for the vacant SuperFight Lightweight Title. Jamie Mullarkey 10-2 ranked #6 takes on Abel Brites 12-5 ranked #7 are two of the biggest stars in Australian MMA. Brites, a submission specialist and former Hex fight champion and Brace tournament champion takes on Jamie Mullarkey; two-time Brace tournament champion and current Urban Lightweight Champion. This is a contest all Mixed Martial Arts fans have been waiting for! Only one can walk away with the belt. 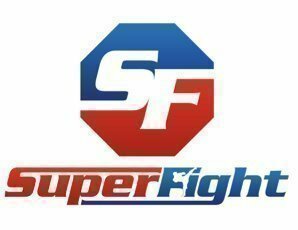 Professional welterweight David Francis returns to the SuperFight event taking on Central Coasts Leo Diaz. Diaz, a journeyman who’s competed since 2005 returns for the second time back from a 3-year layoff, with a recent TKO victory under his belt he will be looking to continue his run. Standing in the way and returning from an injury that has seen him sidelined for 12 months is local favorite David Francis. Dynamite Dave has had fans on their feet with his hard-hitting war machine style, a former contender for the XFC title and now facing Diaz in this outstanding matchup. This event will feature a full undercard of action packed Amateur fights with competitors representing the best MMA Gyms and headlined with a NSW Lightweight title featuring current Champion Mitchell Fear takes on Isaac Hogan.